Clearwater is currently providing standard pre-engineered solutions for de-watering applications. 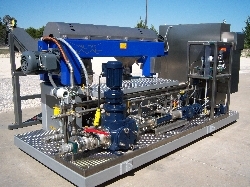 The skid mounted systems are designed for "plug and play" installation with only utility connections required. 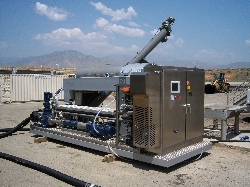 The skid provides sludge conditioning and de-watering automatically based on feed rate and solids loading.